In June 2017, I shared an image and made the bold claim that it told us everything we needed to know about government. In July 2017, I shared a story and similarly asserted that it told us everything we needed to know about government. In that grand tradition of rhetorical exaggeration, here’s a court case that tells us everything we need to know about government. I’m not a lawyer, so maybe the judge made the right decision. Indeed, I suspect it probably was the right outcome since a decision in favor of the suit may have resulted in some sort of judicial mandate to squander more money on failed government schools. And we have lots of evidence that additional funding would mean throwing good money after bad. But I still feel great sympathy for the students and their parents. They are stuck with rotten schools that cost a lot of money. They have been betrayed by government incompetence. Both Thomas Sowell and Walter Williams have explained how the system is rigged to benefit teacher unions rather than kids. And even though most of the victimized children are minorities, the NAACP sides with the unions. Shame. 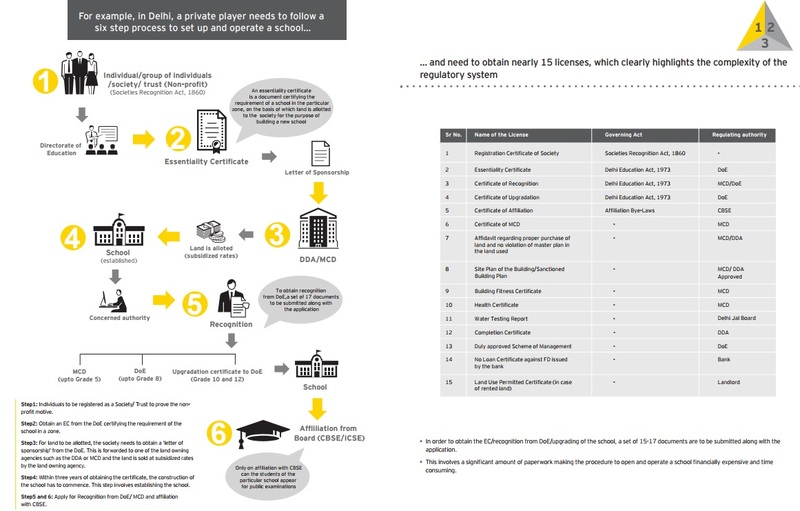 The failed government school monopoly serves the interests of insiders, not students. The only solution is school choice, as explained in this video. P.S. Needless to say, the federal government shouldn’t play a role. Bush’s no-bureaucrat-left-behind plan didn’t work, and neither did Obama’s Common Core boondoggle. The best thing that could happen in Washington would be the abolition of the Department of Education. P.P.S. There’s a lot we could learn about school choice and private schooling from Sweden, Chile, India, Canada, and the Netherlands. Canada is a surprisingly pro-market country, with relatively sensible policies involving spending restraint, welfare reform, corporate tax reform, bank bailouts, regulatory budgeting, the tax treatment of saving, and privatization of air traffic control. And we should add education policy to the mix. There are four comparatively admirable features of Canadian schooling. First, as explained by the Vancouver-based Fraser Institute, the central government has no role. …the Canadian educational system is much more decentralized than in the United States. One of the starkest illustrations of the different models at work between the two countries, is the fact that Canada has no federal role, no federal ministry or department, and no federal cabinet position for K-12 education at all. …in Canada, this vital aspect of society is under the exclusive control and authority of the provinces. Furthermore, in many provinces the delivery responsibilities are decentralized to local and regional boards of education. Too bad we can’t say the same in the United States. Second, Canadian taxpayers don’t spend as much money. Adjusting for differences in currencies, in 2010 the United States (public and private) spent $11,826 per student on K-12 education. In contrast, the comparable figure for Canada was only $9,774… the United States spent about one-fifth (21%) more per student in 2010 for primary and secondary education, and…that difference arises from the higher level of government spending. The sad news is that the United States has the ignoble distinction of having the highest level of per-student spending. Yet we certainly don’t get better results. Especially compared to Canadians, which is the third admirable feature north of the border. 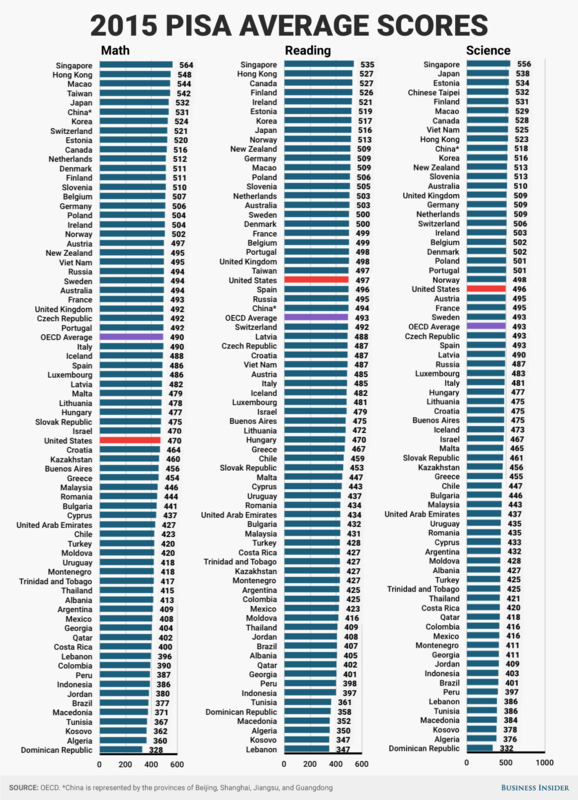 …on most international tests, Canada performs at least as well as, and often much better than, the United States. For example, the OECD administers the Programme for International Student Assessment (PISA), which in 2006 gave U.S. students a science score of 489, compared to Canada’s 534 and the OECD average of 500. So why is Canada getting better results with less money? 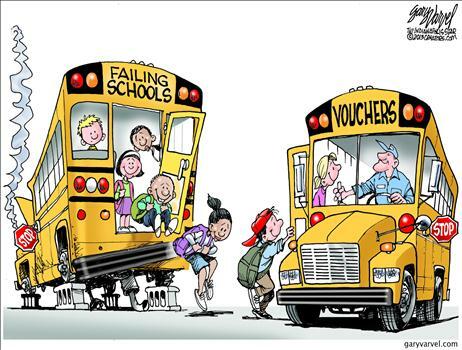 There are probably several answers, but one reason is a Canadian version of school vouchers, which is the fourth positive attribute of the Canadian education system. Five provinces in Canada make provision for funding qualifying independent schools. These are Quebec and the four western provinces: Manitoba, Saskatchewan, Alberta, and British Columbia. …Funding percentages vary across the five funding provinces. None offer funding toward the purchase or construction of capital assets. Funding is generally calculated as a percentage of the amount given to the local school district for the operational (recurrent) expenses of educating a student. Funding is generally paid directly to the independent school on a per-student basis. The money follows the students, which means parents in the more enlightened provinces have a real choice. Interestingly, even researchers from the Canadian government confirm that kids in private schools receive superior education. Private high school students score significantly higher than public high school students on reading, mathematics, and science assessments at age 15, and have higher levels of educational attainment by age 23. …In the reading test, private school students outperformed their public school counterparts by 0.081 log points, or about 8% (Table 5). The gaps were slightly larger in the mathematics and science tests. By age 23, 99% of private school students had graduated from high school, about 3 percentage points above the figure for public school students. The private school advantage was more evident in postsecondary outcomes (measured at age 23)—postsecondary attendance (11.6 percentage points), university attendance (17.8 percentage points), postsecondary graduation (16.2 percentage points), university graduation (13.9 percentage points), and graduate or professional studies (8.1 percentage points). 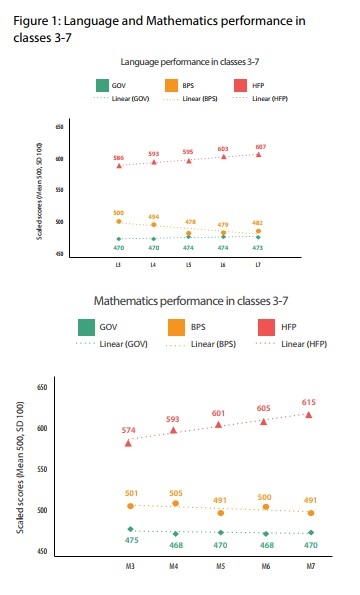 Private schools produced better results even after adjusting for the quality of students. …private high school attendance was positively associated with postsecondary attendance and graduation outcomes. Specifically, postsecondary attendance and graduation outcomes were 5- to 9-percentage-points higher among private high school students. …It is well documented that private high school students generally outperform their public school counterparts in the academic arena. Parents seems to recognize where they can get the best education for their kids. 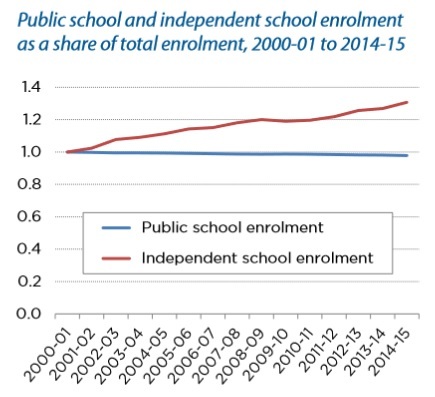 The Fraser Institute tracks enrollment patterns and an ever-increasing number of children are attending independent schools. So what’s the bottom line? Simply that what we see in Canada augments evidence from Sweden, Chile, and the Netherlands about the benefits of breaking up state-run education monopolies. And we can give India honorary membership in this club since so many parents have opted for private schooling even though there’s no choice program. P.S. Canada used to have the world’s 5th-freest economy, but it has dropped to the 11th-freest. Still a relatively good score, but Prime Minister Justin Trudeau has the country moving in the wrong direction. I’ve written several times about how dumping more money into government schools is not a recipe for improved education. Indeed, I would argue that this chart is the most powerful image I’ve ever seen. More and more money gets plowed into the system (even after adjusting for inflation! ), but the only effect is that school systems hired more bureaucrats. There hasn’t been any positive impact on student test scores. It’s especially depressing when you compare the United States with other developed nations. We spend more than other countries, on a per-student basis, yet our test scores are below average. 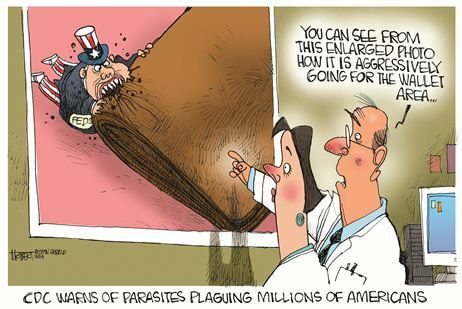 Politicians periodically admit there is a problem, but their solutions – such as Bush’s no-bureaucrat-left-behind scheme and Obama’s common-core boondoggle – simply squander money and rearrange the deck chairs on the Titanic. Let’s examine whether this pattern is true in other nations. I already shared some research showing that big spending increases in Indonesia didn’t have a positive impact. Now let’s look at multi-country analysis. We’ll start by looking at a study by a scholar from the World Bank and Harvard’s Kennedy School. Cross national data show no association between the increases in human capital attributable to rising educational attainment of the labor force and the rate of growth of output per worker. This implies the association of educational capital growth with conventional measures of TFP is large, strongly statistically significant, and negative. …Three causes could explain why the impact of education varied widely across countries and fell short of what was hoped. First, the institutional/governance environment could have been sufficiently perverse that the educational capital accumulation lowered economic growth. Second, perhaps the marginal returns to education fell rapidly as the supply expanded while demand for educated labor was stagnant. Third, educational quality could have been so low that “years of schooling” have created no human capital. Here’s some statistical analysis from Professor Garett Jones of George Mason University. Between the 60’s and the 90’s every country in this sample boosted its average years of education–it was a golden age of alleged human capital investment. Some nations boosted schooling more, some less. How did that turn out? …The trendline points down slightly, but for the time being let’s just call it a draw. It’s a well-known fact that countries that started the 1960’s with high education levels grew faster…, but this graph is about something different. This graph shows that countries that increased their education levels did not grow faster. 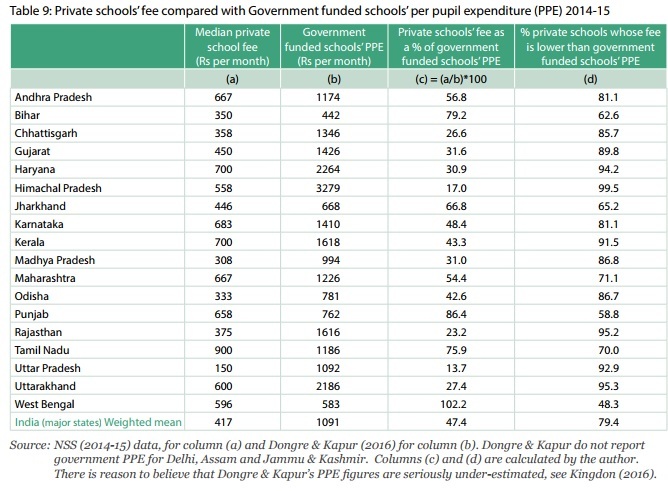 This data clearly shows that dumping more money into education doesn’t work. So perhaps the problem is the way the money is getting spent, not the amount. That’s why the moral of the story is that we need to break up government school monopolies and harness the power of the market by giving parents and students genuine school choice. For what it’s worth, there’s strong evidence that choice produces good outcomes in the limited instances where it is allowed in the United States. Whenever I discuss education policy with one of my leftist friends, it usually follows the same script. They’ll ask whether I want good education for kids. I’ll say yes. They’ll then say we should devote more money to government schools. I then show them this powerful chart and point out that we’ve been following their approach for 40-plus years and that it hasn’t worked. None of them has ever had an effective or coherent response. I then point out that the United States spends far more than other developed nations, on a per-pupil basis. Yet our national test scores are dismal compared to other developed nations. Once again, none of them has ever had an effective or coherent response. The simple reality if that giving more money to government schools is a foolish gesture. Today, we’re going to look at some additional evidence. Research from the World Bank pours cold water on the notion that more money for teachers leads to better outcomes for students. …countries sometimes implement large increases in public-sector salaries to attract higher-quality applicants to government jobs and to better motivate existing employees. …understanding the extent to which unconditional pay increases make incumbent public-sector workers more motivated and productive is a key consideration in evaluating the cost effectiveness of such salary increases. …In this paper, we provide experimental evidence on the impact of a large unconditional salary increase on the effort and productivity of incumbent public employees. Our study was conducted in the context of a policy change in Indonesia that permanently doubled the base pay of eligible civil-service teachers… The reform moved teacher salaries from the 50th to the 90th percentile of the college-graduate salary distribution. Civil-service teachers in Indonesia also enjoy generous benefits and high job security, and quit rates were very low even before the pay increase. Thus, the teachers in our study are typical of public-sector employees in many low- and middle-income countries, who hold highly coveted jobs and enjoy a significant wage premium relative to their private-sector counterparts. So what were the results of this experiment? The good news, as you might expect, is that teachers were quite happy. The experiment significantly improved measures of teacher welfare: At the end of two and three years of the experiment, teachers in treated schools had higher income, were more likely to be satisfied with their income, and were less likely to report financial stress. But for those of us who actually want better education for children, the results were not very satisfactory. …despite this improvement in incumbent teachers’ pay, satisfaction, …the policy did not improve either their effort or student learning. Teachers in treated schools did not score better on tests of teacher subject knowledge, and we find no consistent pattern of impact on self-reported measures of teacher attendance. Most importantly, we find no difference in student test scores in language, mathematics, or science across treatment and control schools. …Finally, we use the school-level random assignment as an instrumental variable for being taught by a certified teacher in a given year, and find no improvement in student test scores from being taught by a certified teacher (relative to students in control schools taught by similar “target” teachers). 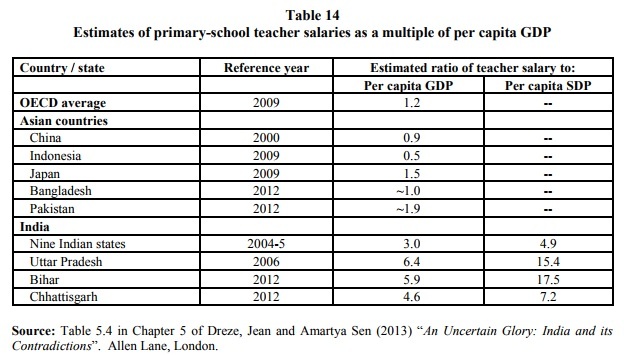 These effects are also precisely estimated…our results are consistent with other studies finding no correlation between teacher salaries in the public sector and their teaching effectiveness (Muralidharan and Sundararaman 2011, Bau and Das 2017), and with studies finding that contract teachers who are paid much lower salaries than civil-service teachers are no less effective (Muralidharan and Sundararaman 2013, Duflo, Dupas, and Kremer 2015, Bau and Das 2017). Indonesia is not similar to the United States, so some people will want to dismiss these finding. But the authors note that U.S.-focused studies have reached the same conclusion. Our results are consistent with prior studies finding no correlation between in creases in teacher pay and improved student performance in the US (Hanushek 1986; Betts 1995; Grogger 1996). If giving teachers more money doesn’t work, is it possible that spending more money on facilities will help? Let’s look at another academic study, published in the Journal of Public Economics, for some insight. Here’s the approach used by the scholars. In this paper we provide the most comprehensive assessment of achievement effects from school facility investments initiated and financed by local school districts. The first part of the analysis examines the impact of nearly 1400 capital campaigns initiated by 748 school districts in the state of Texas over a 14-year period. …We examine the impact of capital campaigns on student outcomes using information on all tested students in the state over this time period, which includes all 3rd through 8th graders and 10th or 11th graders that take the state’s high school exit exam. And here are the very disappointing results. …the second part of the study directly measures the effect of capital investment on students actually exposed to it by analyzing more than 1300 major campus renovations. Controls for lagged individual test scores permit us to address changes in student composition resulting from capital investment, analogous to “value-added” models of teacher effectiveness. With or without this adjustment, we find no evidence of achievement effects of major campus renovations, even for renovations that appear to have generated large improvements in school facility conditions. Our estimates are sufficiently precise such that we can rule out positive effects larger than about 0.02 for math and 0.01 for reading for the first four years following a campus renovation. By the way, I’m not arguing that pay and facilities are irrelevant. I think the takeaway from these studies is that more money doesn’t help when the underlying structure of the education system is faulty. So long as we have a centralized monopoly, more money isn’t going to help. Unfortunately, American politicians are part of the problem. Under President George W. Bush, the federal government spent more money on education and grabbed more control of the sector as part of the so-called No Child Left Behind initiative. That didn’t yield good results. Under President Barack Obama, the same thing happened. Thanks to Common Core, the federal government spent more money on education and grabbed more control of the sector. That didn’t yield good results. Indeed, a report last year for the National Center for Policy Analysis notes the dismal impact of the federal government. Over the years, federal funding of primary and secondary education has increased, while students’ academic performance has flatlined. For instance, the high school reading and math scores on the National Assessment of Education Progress show that student performance has remained flat for the past 20 years… education reform initiatives by several administrations produced, at best, minimal improvements in student performance at a high price to taxpayers. Given its track record, the federal government should get out of the education business. Federal education reforms have failed to achieve their goals and failed to have a positive impact on education performance. Amen. The Department of Education in Washington should be eliminated. It’s part of the problem. Let’s close with a Reason video that looks at some absurd examples of how taxpayer money is wasted by the government school monopoly. P.S. Let’s close with a bit of humor showing the evolution of math lessons in government schools. P.P.S. If you want some unintentional humor, the New York Times thinks that government education spending has been reduced. P.P.P.S. And you’ll also be amused (and outraged and disgusted) by the truly bizarre examples of political correctness in government schools.